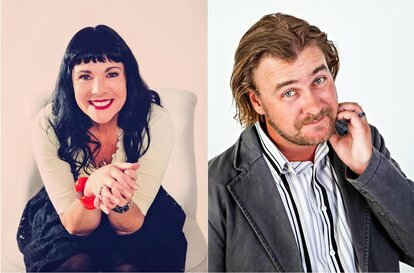 Michele A'Court and Jeremy Elwood are two of New Zealand's premier stand-up comics. Well known on radio and for regular television appearances on 7 Days and The Project, Michele and Jeremy are renowned for their intelligent, irreverent and insightful comedy. Michele's 2016 Arts on Tour show "Stuff I Forgot To Tell My Daughter" was a huge success. With her second book "How We Met" now in bookstores, this show promises to be a hilarious night out. Presented by Expressions Whirinaki Arts & Entertainment Centre in association with Arts on Tour. Pre-theatre dining is available at Limelight Cafe. Check out their menu. Bookings are essential on 527 9436.